DeckerWright Corporation has been serving the Red Bank area since 1984, providing IT Support such as technical helpdesk support, computer support, and consulting to small and medium-sized businesses. Verizon recently came out with its Gigabit internet connection service. We have several clients that have gotten the 1 GIG service only to find that they aren’t getting 1 GIG throughput when they run speed tests, including Verizon’s speed test. Why? There are two main factors in explaining why clients aren’t getting 1 GIG speeds. The first is fine print. In speaking with the Verizon installers implementing 1 GIG service, they explained they certify 1 GIG service with speeds as low as 750 MGs. In visiting the Verizon FiOS web site, in the footnotes and fine print on the 1 GIG Internet speeds page, Verizon states they only guarantee speeds of 750 MGs on the 1 GIG service. That means the 1 GIG service is really Verizon marketing, and not what's getting delivered to customers. The second reason is technology. In order for a customer to achieve 1 GIG performance, everything between their device and the website or app they're using needs to support 1 GIG speeds. This is rarely the case. Typical device interface speeds are either 100 MGs (0.1 GIGs) or 1 GIG. Let’s look at a case where every firewall, router, wire and web site service being accessed has 1 GIG interfaces. 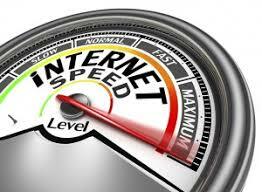 If you're lucky enough to access that website when no one else is accessing it, you would achieve 1 GIG speeds. As soon as other people access the same internet resource, the 1 GIG pipe becomes shared, effectively reducing the throughput of your connection. To keep it simple, divide the pipe size by the number of simultaneous users to estimate the speed. New technology supports 10 GIG device speeds, but the technology is not widely deployed, and over 95% of the internet connected devices have 1 GIG or slower interfaces. When everyone was accessing the internet with 25 to 100 MG connections, 1 GIG interfaces were sufficient. Suddenly they are not. The client’s local network and equipment also provide a bottleneck to achieving 1 GIG speeds. Many clients have older firewalls and networking equipment that only support speeds to 100 MGs. 95% of the firewalls we deployed at client locations will not support 1 GIG speeds. Firewalls, routers, switches and network cabling all have to be up to specs in order to achieve 1 GIG bandwidth from your wired devices. Even after a client upgrades their physical infrastructure to support a 1 GIG connection, they are disappointed with the performance of their wireless devices. Turns out, they will need to upgrade their wireless access points and make sure their wireless devices support the latest 802.11ac standards. Most WiFi operates in the 802.11b/g/n 2.4 Ghz radio spectrum, which is where the majority of access points and wireless devices operate. Many of the newer wireless enabled devices will operate in the 5 Ghz frequency range which supports the 802.11a/n/ac wireless standards. Even if a client has a new access point and device that auto selects the right frequency and communications standard, WiFi technology adjusts the bandwidth according to the signal strength. The worse the WiFi signal, the slower the connection regardless of the WiFi technology. To achieve 1 GIG on a wireless device, a client needs an 802.11ac access point, with a device that supports 802.11ac and the client must be standing within 10’ of the access point. If the client wonders away, or has walls between them and the access point, the speeds will drop dramatically. If you're thinking of upgrading your internet connection to 1 GIG, contact DeckerWright Corporation so we can assess your network before you purchase the 1 GIG service to see if your network can support it. Click HERE for more information on wireless technologies. The explosion of the Internet of Things (IoT) and mobile devices has put an increasing load on existing WiFi networks. Originally engineered to provide access to a few laptops and mobile devices, WiFi networks are now being tasked with streaming video from cameras, and a host of other IoT devices, impacting a WiFi infrastructure that was not engineered for the load. Another big problem with business WiFi, is most small and medium sized businesses are in multi-tenant office space with many businesses. Sitting at my desk, I have 18 different WiFi networks I could connect to. The more access points that occupy a frequency, the more they interfere with each other degrading WiFi performance. Another common problem we see with client’s WiFi networks is that they are not engineered to provide the right level of security based on the evolving usage profile. 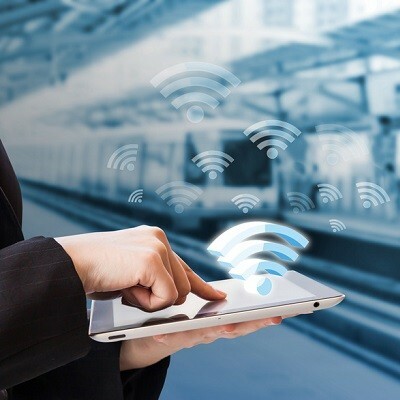 Many business WiFi networks work in two worlds, the world of using WiFi to access a client’s business network to do work, and WiFi to allow clients and employees to access the internet with their mobile devices. 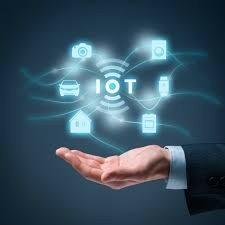 New IoT applications may have different network security requirements. When planning out a WiFi network, security must be part of the design consideration. You don’t want clients or guests to be connected to the company’s business network. They should be isolated on a guest network with only internet access allowed. Conversely, computers that need to be connected to the company’s network via WiFi should be. The last problem with WiFi networks is the usage of the public frequencies of 2.4 Ghz and 5 Ghz. The 2.4 Ghz frequency is particularly subject to interference from other technology like wireless phones, microwaves, alarm systems and electric motors that can broadcast on this frequency. The 5 Ghz frequency is less heavily used by other manufacturers, and does better in facilities with more walls and obstructions based on its wavelength. The trade-off for the improved quality, is distance. A 5 Ghz transmitter only goes about half the distance of a 2.4 Ghz transmitter. When was Windows 7 launched by Microsoft? If you don’t know the answer then read on. Windows 7 has been a staple of corporate computing for many years. Surviving two successive operating system launches from Microsoft, Windows 8 and Windows 8.1, Windows 7 has provided a stable and flexible platform for corporate computing. If Windows 7 is so good, why is Microsoft ending support for it? One could be skeptical and say it is to force upgrades and therefore make more money. To some extent, this is a true statement. Another more important reason is that Windows 7’s software architecture limited Microsoft’s ability to support both mobile and cloud computing. Enter Windows 10 operating system that spans the desktop and mobile computing market with features built-in for the cloud. In order to achieve Microsoft’s cloud vision, the Windows 7 operating system needs to be replaced. 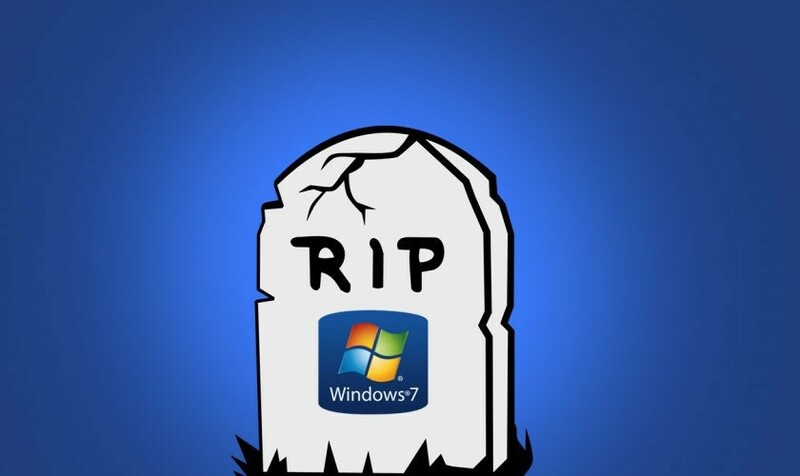 Microsoft is ending support for Windows 7 on January 14, 2020. What does this mean? It means that Microsoft will no longer be distributing “patches” to fix program and security issues identified in Windows 7. Every day after January 14, 2020, the risk to owners of Windows 7 computers goes up. A simple way to calculate the risk is start at zero on January 14, 2020 and add 2 every week. By the end of 2020, the risk factor on Windows 7 would equal 100, meaning security holes would have been identified, documented and exploited by criminals that have no fixes. Ransomware or other malicious software that finds its way to a Windows 7 computer could quickly compromise it. The main factor in successful attacks against computers by criminals is lack of patching on the computer. For regulated industries like healthcare or companies covered by Payment Card Industry requirements, the switch to Windows 10 is mandatory to remain in compliance. The launch of Windows 8 introduced the world to Microsoft’s vision of touch computing. Broadly rejected by the market, Windows 8 quickly became Windows 8.1 followed by Windows 10. Windows 10 brought back the Windows 7 desktop user experience that Windows 8 took away. By combining the new features, Microsoft needed to support mobile computing and the cloud, with the user’s ability to maintain the beloved Windows 7 desktop - Microsoft hit on a winning combination. For anyone hesitant to move to Windows 10 because they only have seen the tile user interface, be assured that Windows 10 can be configured to enter a Windows 7 desktop mode. Ready for the answer on Windows 7’s birth date? Windows 7 was launched by Microsoft on October 22, 2009. Click HERE for more information on Windows 7 retirement. With the end of Windows 7 less than a year away, we have been getting many calls on how to move from Windows 7 to Windows 10. There are three options we are presenting to our clients. They include: 1. Use Windows 10 upgrade rights that may have come with your computer; 2. Upgrade the computer to Windows 10 operating system by purchasing Windows 10; or 3. Replace the Windows 7 computer with a new computer with Windows 10. Here's the logic we're using to determine the best method for getting a company’s computers on Windows 10 operating system. The first question - how old is the computer? If the computer was built in 2017 or 2018 (less than two years old), upgrading the operating system to Windows 10 is an option. This option gets better if the computer shipped with Windows 10 upgrade rights. If the computer has Windows 10 upgrade rights, it will be clearly displayed on a sticker on the computer. If the computer doesn’t have a sticker documenting Windows 10 upgrade rights, the computer doesn’t have upgrade rights. A client using this option will need to provide DeckerWright Corporation with the manufacturer provided media and Windows 10 license key. Why are computers older than two years old bad candidates for being upgraded? Computer manufacturers change the internal devices of their computers all the time. A computer purchased three years ago may have devices like video, network and sound that are not supported with manufacturer drivers for Windows 10. Taking the time to research driver issues to determine if drivers are available is wasted time. As a result, we have established an upgrade policy that if the computer’s purchase date is older than January 1, 2017, it is not a candidate for being upgraded by DeckerWright Corporation. If your computer qualifies for an upgrade but you don’t have an upgrade license for Windows 10, how do you get it? DeckerWright Corporation sells Original Equipment Manufacturer (OEM) versions of Windows 10 installed on a new solid state drive. The other option for getting Windows 10, is to upgrade an Office 365 license to Microsoft 365. The Microsoft 365 license includes Exchange Online, Desktop Office 2019 and Windows 10 operating system. The Microsoft 365 subscription is $20 per month. If for some reason you drop the Microsoft 365 subscription, the Windows 10 operating system will be put in a zombie state after the subscription ends. The last option is replacing the computer with a new computer. 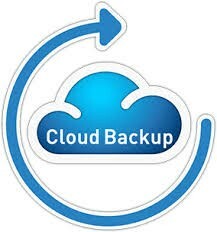 We provide our clients with this full range of options and include additional services to migrate user desktops, favorites, email, documents and other data. Keep in mind that either the upgrade to Windows 10 or new Windows 10 computers will need to have software re-installed necessitating access to the media and software licensing for any application installed on the Windows 7 computers. DeckerWright Corporation can take away the pain of upgrading to Windows 10. Email Messages - Cyber criminals compromise or spoof an employee's or trusted senders email account and send out a plausible email sending the recipient to a website, a file link or download. If the recipient follows the directions, they allow the cyber criminal to install malware on their computer. Phone Calls - Cyber criminals have become adept at "spoofing" phone numbers to make a call appear to be from a trusted source. If you receive a call from one of your vendors (eg, credit card company or bank) and they begin to ask for account of user credential information - HANG UP. Text Messages - Cyber criminals are sending carefully crafted text messages with links that can compromise mobile devices. Following the link can install software on the device that allows cyber criminals access. Social Media Messages - Messages from social media platforms can obtain links to websites controlled by cyber criminals. These may be a completely fictitious website, or a website that has been compromised by the cyber criminal to distribute malware to unsuspecting victims. Malware is often disguised as a document to be downloaded on an interesting topic. How can you protect yourself from becoming a victim? The first rule of cyber security is trust no one. If you aren’t expecting to receive a message containing a link or file download, suspect the message is from a cyber criminal. The second rule is to verify the authenticity of the message using a different messaging method to a trusted address. For example, if you receive an email with a link to a file from a trusted sender, but were not expecting the link, reach out to the sender to confirm the authenticity of the request. DO NOT simply reply to the email asking if the email is okay. If the cyber criminal has compromised the sender’s email account, they may be the ones responding to you that the email is okay. Use an alternative messaging method like a phone call or text message to the sender to confirm the message’s authenticity. Never respond to a sender by replying to the email, calling the number or filling out a form from a link in a suspicious message. Always go to your contact list and reach out to the sender with a known safe message method. If you get an email from your credit card company, never call the number in the email, always call the number on the back of your credit card. This trusted verification process is similar to multi-part authentication used during logins. Verify to a second, trust source before proceeding. The third rule is to NEVER download and install either a plug-in or software from any website that is not fully trusted. DO NOT trust web sites from trade associations and third party experts in your industry. Website development for small business often use web developers who are not well versed in how to harden websites from being hacked leaving holes cyber criminals can exploit. Be suspicious of any link that takes you to a location you have never been to before. Verify the file download by contacting the entity to confirm its safety and authenticity before downloading anything. Cyber criminals continue to evolve their techniques for attacking businesses. As always, knowledge is our best and last line of defense against their success. Cyber-crime like other criminal enterprises is a business. Whether the criminal enterprise is selling drugs, gambling, or prostitution there is an underlying business model where sales minus expenses yields profits for the criminal enterprise. As state and local governments encroach on the criminal enterprise businesses including gambling (casinos and sports betting) and drugs (marijuana sales), criminal enterprises are looking for new growth opportunities. What makes cyber-crime so attractive to criminal enterprises? There are a variety of reasons cyber-crime continues to grow at double digit rates. These include low barriers to enter, low capital costs to enter the business, and very low risk of prosecution. If a criminal enterprise’s lines of business are being legislated out of existence, a logical reallocation of capital would be into cyber-crime. The Dark Web is rich with web sites that for a fee, provide the software, control console and e-mail lists to put you in the crypto-locker business. Add in a network operations center in a friendly government jurisdiction to avoid prosecution, and you have a formula for making large sums of money. The establishment of a cyber-crime business unit is significantly less expensive, and easier then setting up a distribution network for drugs in a new region. Make a few key hires of technical talent and the criminal enterprise is on its way. Cyber-crime offers the perfect opportunity to expand quickly with fewer people and less risk. The market in Cyber Crime is relatively small and fragmented today. As older established criminal enterprises reallocate capital and enter the market expect the growth rate to slow. With that slowing growth there will be signs of consolidations in the industry. Unlike corporate America where consolidations are marked by mergers and acquisitions, criminals use more forceful methods to dislodge competitors. So far, there have been few reports of cyber-criminals having turf wars. 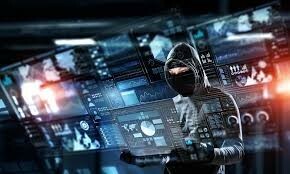 One sign of the cyber-crime market maturing will be reports of cyber-criminals using cyber weapons to attack each other all around the world, and for executives of “tech” companies around the world to go missing. Expect the criminal threats to continue to grow into the foreseeable future with law enforcement and technology companies always playing catch-up.